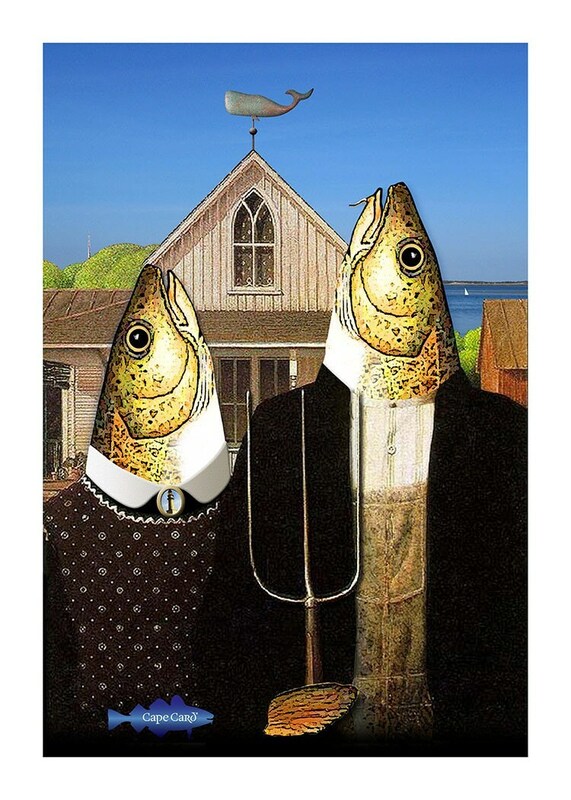 This image of aquaculture on Cape Cod is based on Grant Wood's famous painting, "American Gothic", with a few minor changes and additions. This image personifies aquaculture. Design copyright © 2010 by Andrew Newman. All rights reserved. The Cape Card watermark will not appear on actual cards. So cool! Why don't you try working with movie posters, too?